of our Mars exploration panel. Someone said something nice to me on New Year's Day and I'm still floating with joy. Here's some context. I ended 2017 and started 2018 by attending an innovative private event with panels, talks, workshops, and much more - covering topics from science, to mental health, to social justice. Even as a first timer I was a part of two panels and gave a workshop. I met fantastic people and left with a mind full of ideas. But one of those panels I was on was a bit daunting - it was a Mars exploration panel. There were only two women (including myself) out of nine panelists, and represented on the panel were NASA officials past and present, an astronaut, and more. I was the only person on the panel I'd call a planetary surface scientist. I was the only one who could really speak to the research and analysis aspects specific to the lunar and Martian surfaces. Because of these factors, I felt a strong responsibility to hold my own amidst some strong personalities. I wanted to represent science and the women who do it, well. So, okay. The stage is literally set. We are up on a dais before a lunchtime crowd of about 250 intelligent and attentive people. My first major "intervention" is when someone on the other end of the panel says that basic science research is not as important to Mars exploration as engineering and propulsion research. I can't let that sit, and take the microphone. I remind him that without science we wouldn't even know something as basic as what we were landing on. I briefly mention dust as an example - the dust the Apollo astronauts ended up breathing and even eating when it made its way via electrostatic effects right into the lunar module. This is also the dust that will be gumming up gears and other mechanical devices in any exploration effort, lunar or Martian. And given it's insulating properties, this is the dust that explorers may be hiding under to escape temperature extremes and radiation hazards. We know a lot less about Martian dust than lunar. Research science to characterize this stuff is critical. My last major "intervention" happened when a panelist near me responded to the question, "What are the moral or ethical considerations of Mars exploration?" His response was basically, "Well, if there is no life already on Mars, then there are no issues." I was astonished and grabbed the mic, following up with something like, "Actually, there are a variety of moral or ethical considerations to space exploration. Here is an example. We impacted a spacecraft on the Moon that was also was carrying the ashes of a famous scientist. No cultural dialog was engaged before the decision was made, and when certain communities found out after the fact, they were very unhappy. Some Native American groups protested because they view the Moon as sacred, and did not feel placing someone's ashes there was appropriate. We can't continue to make mistakes like this. Scientists, engineers, and administrators are becoming more and more aware of the need to reach out and have diverse conversations as we continue to explore. We must make these conversations a priority." I left the dais at the end of the panel feeling a bit strange, and wondering if I'd done well in such august company, and achieved my goals of representing the voice of women scientists in a positive fashion. Okay, so punchline finally after all this. I was approached after midnight on New Year's Eve, just minutes into the start of 2018. The woman who addressed me gushed about the Mars exploration panel. She said how excited she was to see my good representation of women scientists, and how I'd done an excellent job - especially with the "morality and ethics" question. She shook my hand enthusiastically. Does this seem like a small thing to you? Or maybe I just don't have a habit of taking compliments to heart ... but this one hit home with a nice warm sparkle. Wow. So I'm headed into the New Year with a huge boost to my sense of agency in the world, and just general good feels. I'm wishing the same for you, as we continue to navigate our way through a challenging world this 2018. 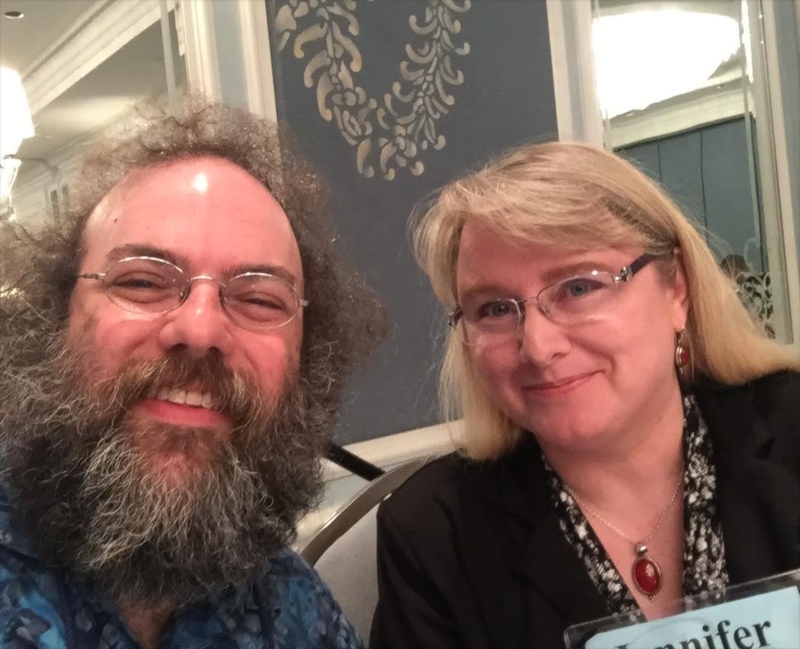 Image Credit: Andrew Rivkin pic of Jen and Andy. J.A. Grier is a planetary scientist, poet, educator, fiction/non-fiction writer, and paper artist. Dr. Grier has penned and published: scientific papers and abstracts, two textbooks, more than three dozen poems, as well as short stories, essays, articles and astronomy education materials. A fan of sci-fi, fantasy, horror, and the just plain strange, Dr. Grier is currently seeking publication homes for two novels as well as a book of childhood horror poetry. Her book of essays on the nexus of science and creative writing is in the works. It's my second professional science book! 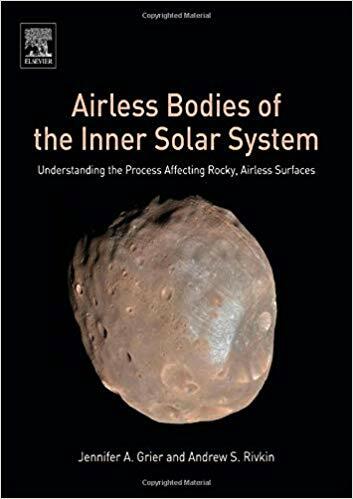 'Airless Bodies of the Inner Solar System' is for professors teaching in this area, for graduate students specializing in airless, rocky surfaces, and for scientists in another subdiscipline who want to come up to speed fast on new paradigms concerning these worlds. I had to learn about levitating dust particles on the Moon. No really. It's my first professional science book! 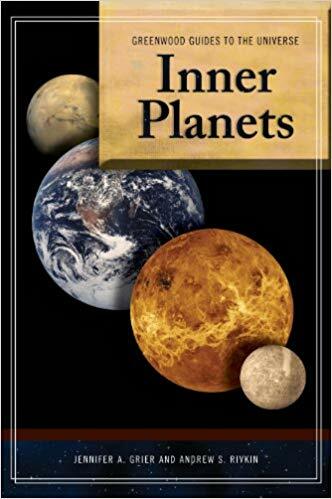 "Inner Planets" from Greenwood Press. This is perfect for instructors and students in the advanced high school to early undergraduate level interested in the processes common to the planets Earth, Mars, Venus, Mercury, and our Moon. I'm especially proud of the chapter on radiometric dating of rocks - no really. 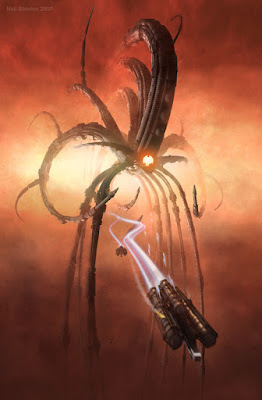 Scifispace.com - Scifi community for sci-fi news, reviews, episode guide, forum, and lots more just for fans of science fiction, fantasy and horror. Can Writers Convey Interesting, Simple Work-a-Day Worlds? All content on the blog/webpage "One Writer's Mind" is copyrighted. All rights are reserved by the author. Read the page "OWM Copyright Regulations" for more information. Infringement of copyright will be subject to appropriate legal action. Everything on this blog is only my opinion. It is not the opinion of anyone else or of any institution with whom I may be associated.